Desde una perspectiva personal, esta presentación interactiva explora la trayectoria psico-espiritual de los diferentes ciclos vitales por los que traviesan generalmente las mujeres, prestando especial atención a las transiciones. Históricamente, las mujeres gozaban de una comunidad que usaba ritos y ceremonias para honrar el pasaje por las diferentes etapas de la vida. Cómo logramos hoy, en esta época en la que muchas vivimos aisladas y carentes de una comunidad que nos sostenga y apoye, atravesar de manera exitosa y empoderada transiciones muchas veces conflictivas y mal interpretadas, como la pubertad y adolescencia, la maternidad y la menopausia? Esta charla apunta a rescatar respuestas ancestralmente practicadas en nuestras propias tradiciones culturales que, por simples, no siempre resultan evidentes o implementadas. La doctora Sirena Pellarolo es Profesora Emérita de Estudios Culturales Latinoamericanos de la Universidad del Estado de California en Northridge, autora y conferencista internacional con treinta años de experiencia, Como coach de salud holística utiliza la alimentación como medicina (comida viva y desintoxicaciones), el autoconocimiento y la sanación emocional, mental y espiritual para apoyar a mujeres en la menopausia a mitigar sus síntomas con métodos naturales y realizar una efectiva y empoderada transición hacia una vital y productiva segunda etapa de sus vidas. This entry was posted in healthy living, holistic health coaching, Los Angeles, menopause symptoms, midlife women, personal growth, Uncategorized, women and aging, women's empowerment, women's spirituality and tagged Expo Vida Consciente on February 25, 2016 by Sirena. I elaborate the same concepts I introduce in this interview in a post I published in The Menopause Goddess Blog. 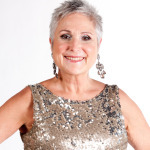 Many of my clients who are going through menopause come to me confused, disempowered and at times, resigned to their lot, as they believe that what they are going through is just a natural part of the aging process. Their low energy levels, digestive issues and sometimes weight gain have them depressed, isolated and lonely. Is this you? Have you given up and thrown up your arms in despair? If it is, I will guide you in four simple steps to regain your mastery by reconnecting with your body, mind and spirit. As a result, your feelings of frustration, lack of confidence and self-esteem will melt away and you will start experiencing your life on your own terms. My role as a Midlife Midwife is to support midlife women to master their lives, recover their self-confidence and stand in their power; a rebirth of sorts at midlife. I’ve seen clients turn around their lives and feel empowered, vibrantly healthy and energetic, with a renewed zest for life. Take Cheryl’s example. 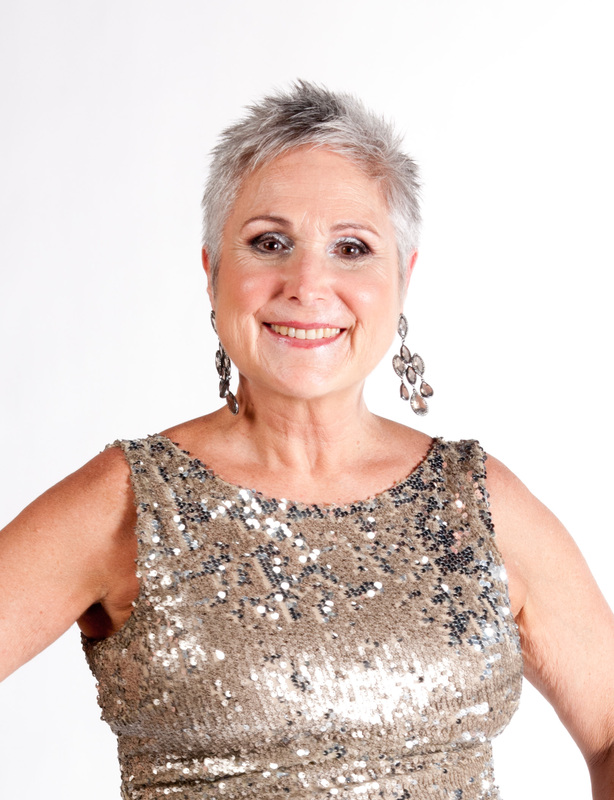 Cheryl is an entrepreneur who is going through peri-menopause. When she came to me, she was in a family situation where she was perpetuating a codependent role she had picked up from childhood with her own adult children and sister. She had been having a semi-satisfying long distance relationship with a man several decades her elder, who was extremely generous and provided for her every need. In spite of this, she was very reluctant to open up her heart completely to him, as her family drama had her stuck in a no-win situation. As soon as Cheryl started to pay attention to her diet and exercise routine, she recovered a sense of wellbeing, and as a consequence, other areas of her life became lighter, too. After a not-so-easy break away from the family, she decided to leave the city, move in with her lover and give this relationship a chance. This decision proved to be the best she could have ever done in her life! As she moved out of the family dynamics, her children and sister found their own sustainability and she is now enjoying the most loving and caring relationship she could have ever dreamt of, in a new community where she feels loved, accepted and supported. She has been able to refocus her business and is thriving as an entrepreneur. I’m so happy for her, as she is an example of how letting go of old dysfunctional patterns and deciding to put ourselves first, transforms our lives in unimaginable ways. In my work supporting midlife women, I firmly believe in the autonomy and self-reliance we can tap into by creating an environment that promotes a healthy passage when approaching the Change. Our bodies are infinitely intelligent, “physical and emotional health is our natural state, even during this time of transition,” Dr. Northrup reminds us in The Wisdom of Menopause, Creating Physical and Emotional Health During the Change. And she adds against the current prevailing wisdom and the trend toward highly medicalizing this life change, that “perimenopause is a normal process, not a disease” (116). As a Midlife Midwife I guide, support and encourage you to find within yourself that innate intelligence to move through this time consciously, connected to your inner wisdom and empowered to make the right choices according to your individual needs. In many of the healing processes I have witnessed, I was able to identify four stages in the recovering of health and vibrancy, and basically, self-power. There is a logical order to these stages, but they are not necessarily chronological, there is a flow, like a spiral flow, where stages at times overlap and at others are repeated, but, for the sake of clarity, I will try to describe each stage separately so that you can understand the characteristics of each one. The first stage is to reclaim our power that we have given away to messages that come from external sources, like the media, family, or church, in brief, the prevailing wisdom about aging and the expendability of women after fifty. Although aging Baby Boomers are changing this belief system around, we still need to be attentive to not allow these negative messages to become internalized in our psyche as they control our perception of ourselves in disempowering ways. The first necessary step then is to reframe this passage on our own terms, listening to our own truth and unplugging from environmental noise. The second stage is to release what doesn’t serve us anymore, be it physical, mental, emotional or environmental toxins. The lightness of being that a holistic cleanse of this sort affords us makes space for the new to sweep us up and move us forward, in the direction that our intentions take us. We will thus be able to make more personalized choices in the creation of our own conditions. The third stage is to activate ourselves with supportive habits towards health. Lighter now from the clean-up, we become energized by putting into motion practices such as a nutrient rich diet, vigorous exercise and a personalized spirituality that will speed up our journey towards the next phase of our lives. The fourth stage is founded on our courage and readiness to transform. After the requalification of our beings, there is a next step that we need to take if we are willing, which is to become a brighter version of ourselves. When we muster the strength and determination to take that ultimate leap of faith, we will be living on purpose, ready to recover those dreams that we had put in the back burner during our child bearing years. It’s our time now to serve others as we model for them how to transform, creating in that way a ripple effect that eventually will change the world. As an example of going through this transforming process, these past three months, after uprooting myself from the city I had lived in for twenty-six years, I am fulfilling a dream I’ve had for some time, of traveling through the Americas and writing. I am working on a DIY guide for an empowered and healthy menopause based on the four stages described above. I address the physical, mental, emotional and spiritual transformation with the support of daily exercises and tips. I have also designed a program, 90 Days to Revitalize Your Body, Mind and Spirit, that follows the four stages of healing I cover in my book. If you feel that you –or anyone you know– might benefit from my program, please share this information with them. Fill out a Juicy Breakthrough Session form to see if we are good fit. This entry was posted in holistic health coaching, personal growth, women and aging, women's empowerment on August 29, 2015 by Sirena. 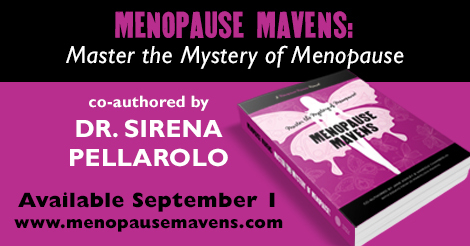 Menopause Mavens: Master the Mystery of Menopause out on September 1st! I have a simple question for you, and I already know the answer… Ready? Let’s face it—everybody is impacted by the “Change,” and a special group of women (including yours truly) have joined hands to compile the stories and secrets of our journeys. With a goal of sharing both our knowledge and experience, Menopause Mavens was born, and this book is the culmination of our work together. Take 25 dynamic women who want to tell their story—give them the opportunity to be honest, emotional, as raw as they want—and look out world! The Mavens are here to open their hearts, share the truth of this unavoidable rite of passage, and turn the often-mysterious experience into a sacred, magical space, filled with the potential to be transformational. We can’t avoid it, so… let’s pull together and make life’s biggest transition a place to evolve, and set the stage for the shift that will follow. The Menopause Mavens have written a book, and it will make every woman’s life easier, every crazy moment understandable, and share the power of sisterhood with all of the women who have been thrown into menopause’s alchemic cauldron. The Mavens are here to help! 100% of the profits of Amazon sales of this book are being donated to the National Coalition Against Domestic Violence (NCADV). Our donations will be used to support NCADV’S vision to create a culture where domestic violence is not tolerated; and where society empowers victims and survivors, and holds abusers accountable. You can support our mission by sharing this email with every woman you know who may benefit from this information and community, and of course, by purchasing your copy of Menopause Mavens: Master the Mystery of Menopause from Amazon on September 1, 2015, between 8am and 3pm. This entry was posted in healthy living, personal growth, women and aging, women's empowerment, women's spirituality on August 28, 2015 by Sirena. When last Fall Jane Ashley asked me to participate in her book project, Menopause Mavens: Master the Mystery of Menopause, I was going through a pivotal time in my life. I was about to become finally retired from my position as college professor and focus entirely on my holistic health coaching practice. I was also getting ready to leave the town I had lived in for the past twenty-seven years. While I was tossing stuff I didn’t need anymore to make space and welcome a new stage in my life, I started gathering information to write a DIY guide towards an empowered and healthy menopause. I was also revisiting old journals, collecting information and quotes about my peri-menopause years, a time I felt I had barged through without too much awareness of the changes I was experiencing. What I discovered in my journals surprised me! In a very unconscious and deep way, I had been able to record feelings, body changes and profound transformations that revealed a great clarity about my passage through the Change. I decided to use those journals as raw material to write my chapter for Jane’s book. The writing process was the most revealing experience I have ever had in many years. I was able to understand my younger self and forgive her for not being conscious enough as she underwent the preludes of menopause. This insight has helped me tremendously in my own practice as a Midlife Midwife to become more compassionate with my clients as I support them in their own rebirthing process. I’m so grateful for Jane’s invitation to be a co-author of Menopause Mavens: Master the Mystery of Menopause. My life will never be the same after this project. This entry was posted in healthy living, personal growth, women and aging, women's empowerment, women's spirituality on August 27, 2015 by Sirena. My salutations to my Oceanic Mother Iemanjá go something like this every day. As I approach her blue majesty, I am overcome by a sense of reverence and beauty, and it is then when I feel a strong urge to communicate my love to her. I talk to her in Portuguese, as I was introduced to her in Brazil, as a teenager, when my family and I vacationed in our beach house in Florianopolis. I sure did. 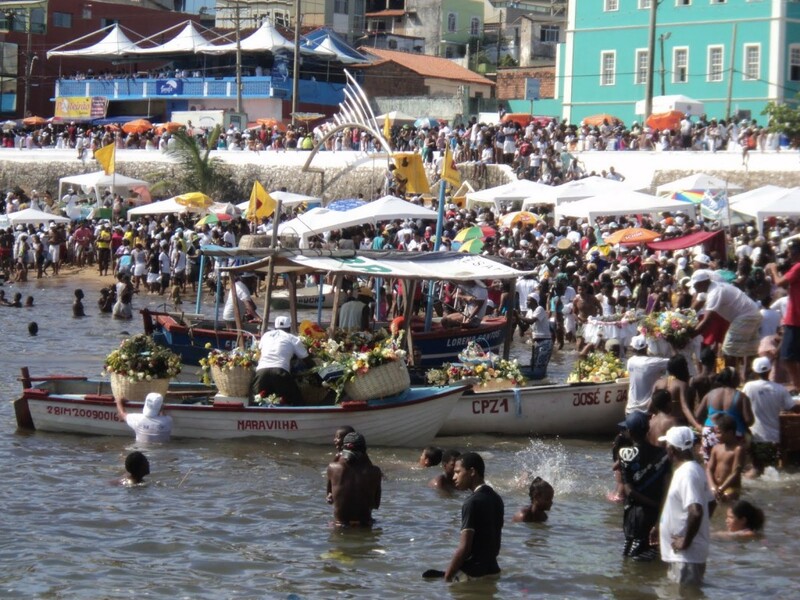 Ever since I witnessed the celebrations for my mother Iemanjá on her day, February 2nd, o dia de Nossa Senhora dos Navegantes, honoring “Our Lady of Seafarers,” I became her true devotee. The fishermen’s homage to the bounty of the ocean–that opulent womb that sustains them daily– resonated deeply in me. I knew there was an ancestral memory activated when I saw the white-garbed participants, their colorful wooden barges ready to go out into sea, their offerings of flowers, fruits, candles, mirrors and other objects that a Mâe uses to adorn herself. 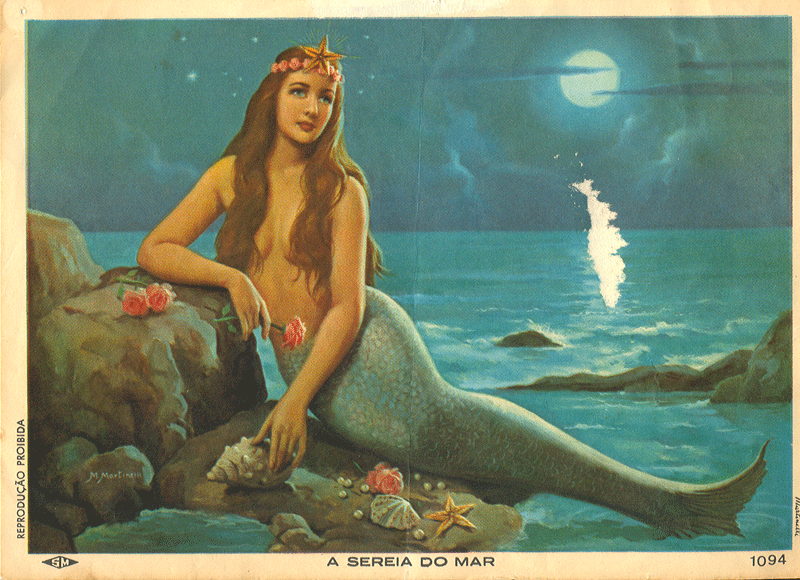 Salve Rainha do Mar! I find it challenging now to professionalize in turn that intimate voice that expresses my vulnerability and my longings, that recovers the poet/mystic in me, a baroque voice with traces of my maternal Spanish, inspired by the lushness and magic of my native continent and its beautiful cultures and literatures. How do I express the stirrings of my soul, my true identity with a voice that is my own? How do I transition from the need to quote authorities to validate my point of view, to just note the singing of the birds in the morning, the constant shrill of the cicadas on warm evenings, the music of falling green mangoes, the buzzing of the mosquitoes in my ear? How do I capture the cadence of the waves breaking on shore persistently, constantly, patiently? “Minha filha, o que voce perguntar, ‘ce ja sabe mesmo. I appreciate your questions, as I know they’re coming from a deep desire to be sincere, speaking clear words from your open heart. And I also know that the answers are within you. Expressing ourselves is like breathing. As we rest in the assurance that who we are is enough, whatever we do or say will be an expression of our true self. It just requires our total self-acceptance and approval of what our intuition guides us to say or do. You might need to be reminded of that now. For me, it’s just allowing our Grand Mother Moon to work through me, to let her changing energies to move me in that constant swelling and retreating that is the essence of her nature, of my nature. Just flowing with the contractions and expansions. It is also holding space for the currents that run deep within me to take their course. I’m a flexible container for all that life that manifests as the divine Ocean. It is enough for me to balance in a continuous aquatic flow of birth and regeneration, creating a viable place for all kinds of marine creatures to grow and prosper. My breath is deep, and so should be yours. Deep and sincere. As you tap into that core, that pristine quarry within and turn your back to external distractions, you will confidently be speaking from your authentic voice. You have consciously chosen to take the high road, minha Filha, and thus become entitled to see through the veil of this material reality. That takes work and sacrifice, making each and every moment of your existence sacred to honor what you are meant to see. It is my charge to you to release the fear, the doubt. Have the courage to go through the pains of birthing once again your beautiful texts of realities, images and concepts that will stir something very deep inside your readers. That’s your way of serving me. 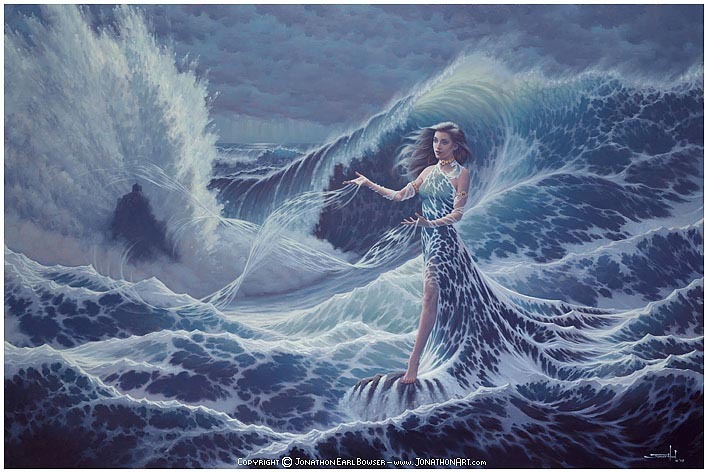 That is what you are summoned to do as an appointed Sirena. Pay attention to what this place is teaching you and write “from the present,” as Jane suggested. Breathe the abundance of this generous nature, the life that pulsates continuously as birds and bugs and the intense greenery of the jungle. See how simple life is, how easy it is to celebrate it by just being in tune with its flows; how the monkeys delight in their roaring and the dutiful surfers just wait patiently to ride the right swell on my back. You yourself bask in my warm waters as you are embraced in my foam, diving into the breaks as the Divina Sereia that you are. This entry was posted in personal growth, women's empowerment, women's spirituality on March 25, 2015 by Sirena. What is it that, as women, we still remember? What is it that we have chosen to forget just to keep us safe? In this International Women’s Day I’d like to ponder on the power that we, as women, are reclaiming and still need to fully get in touch with within our own selves in order to effect a quantum leap of consciousness towards a more evolved humanity. I know we have the courage and determination to go deep into that ancestral pain and extract, with the aid of fish bones and spines, the pearls of wisdom that we have knowingly concealed. Surrounded by so many brujas, fairies, doula and midwife-to-be friends, as a grandmother and as a Midlife Midwife myself, I am very in tune with the magical powers we carry within us that prompt us to move forward in each stage of our lives, helping us to rebirth ourselves like a Phoenix rising from its own ashes. I know we have everything it takes for us to be healthy, fulfilled and empowered and to support others in their own coming to life. It’s just a question of unplugging from the disempowering dissonance of the external noise and paying attention, simply tuning into our ancestral wisdom, the wisdom we carry in our bodies, as Maria consciously discovered. “It’s safe for me to be powerful” has been an affirmation I’ve been repeating constantly for some time now, after an incredibly insightful energy healing session with sister midwife Karen Clothier, in which I viscerally got in touch with the pain and the terror of being punished by death for the powers I had wielded in some remote incarnation. We women still carry in our DNA the collective memory of our ancestors’ holocaust during the Inquisition and far beyond for just exercising our natural womanly powers to hold the tribe together, for healing and love. Quite threatening for a patriarchal paradigm where war and the use of utilitarian reason ruled! We are indeed the survivors of that holocaust, and the more we are able to re-member, feel deeply, embody, forgive and then move beyond that identification with victimhood, will we allow ourselves to plunge into the rich quarries of accumulated knowledge and lived experiences stored in our cells. As we reclaim our authentic selves by recovering and healing the memories, we heal individually and necessarily participate in the collective raising of the planetary consciousness. 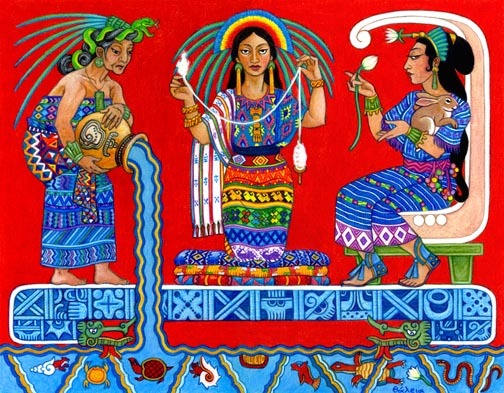 I feel very close to Mayan Moon Goddess Ix Chel, the three-faced deity of water, weaving and childbirth. In her representations as the Maiden, the Mother and the Crone, she covers the three stages of women’s lives. As the Crone, she is an old midwife, the experienced elderly woman who supports mothers in childbirth, and the caretaker of children. 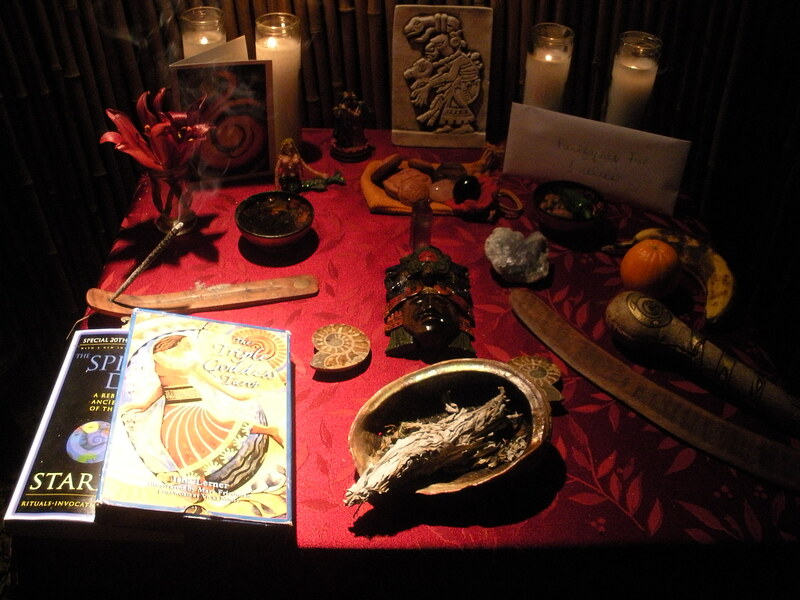 My visit to her sanctuary in Cozumel, accompanied by a group of enlightened bruja-friends in a journey where we traced Mayan goddesses’ marks in the beaten path of the Yucatan, is still warm in my heart. This experience opened up a deep yearning to stay close to women’s circles, ceremony and devotion as a means to continue my evolution as a vessel and channel for the mystery of life. Thank you, Sisters, for walking this path together, and for the courage to re-member and heal. This entry was posted in personal growth, women's empowerment, women's spirituality and tagged women's empowerment on March 8, 2015 by Sirena.